Get artsy in the Metro's business district. (SPOT.ph) Makati City is known as the financial center of the Philippines because it houses several corporations, business hubs, and even the Philippine Stock Exchange. You would often see hordes of employees in tucked in button-downs passing through the lengthy underpass in the morning or call center agents running from the nearest coffee shop to their office late at night. It's like the Philippine version of Wall Street minus Leonardo di Caprio. 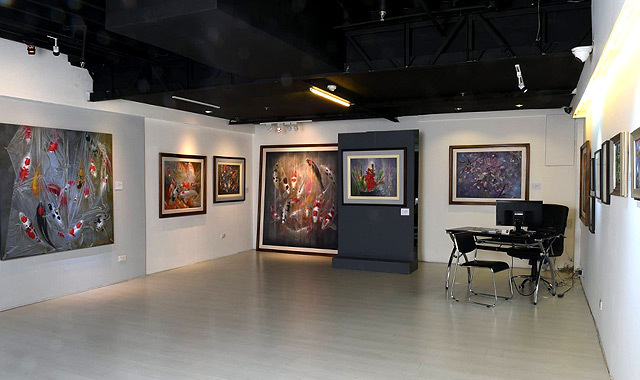 But on the outskirts of Makati Avenue and Ayala Avenue and behind the skyscrapers and glass buildings are galleries where the city's artists and art enthusiasts come together to let their talents flourish. It is home to quite a few, and we round them up in case you need a quick escape away from your office desk. 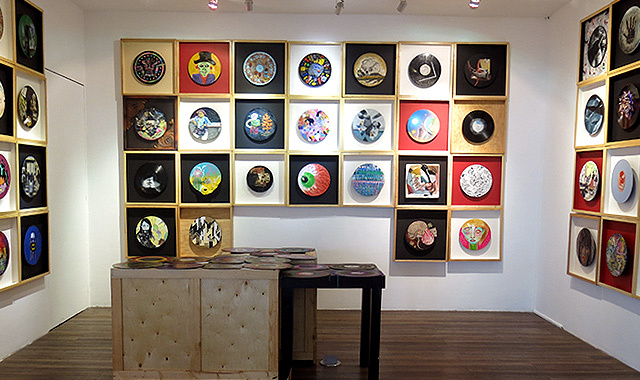 Vinyl on Vinyl started out in a loft-like space in The Collective, an artists' hub along Malugay Street in Makati. In 2015, it moved to a bigger and better location in Chino Roces and brought with it its eclectic vibe. 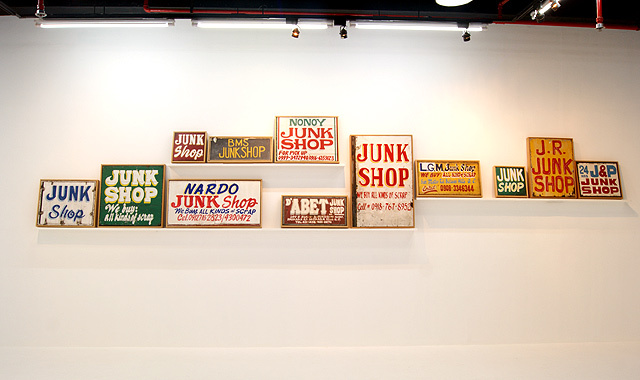 Also known as VoV, the gallery merges commercial art like designer toys and collectibles and bold art exhibits such as the shows of Jobert Cruz, Blic Pinas, Reynold Dela Cruz, Jonathan Olazo, Van Tuico, and Alvin Villaruel. The artists it usually hosts are often influenced by contemporary art, pop surrealism, underground, and street art. When The Drawing Room was founded in 1998 by Cesar Villalon Jr., it started as a venue for accommodating works solely on paper. The initial collection included the works of National Artist Benedicto Cabrera and figurative expressionist Elmer Borlongan. 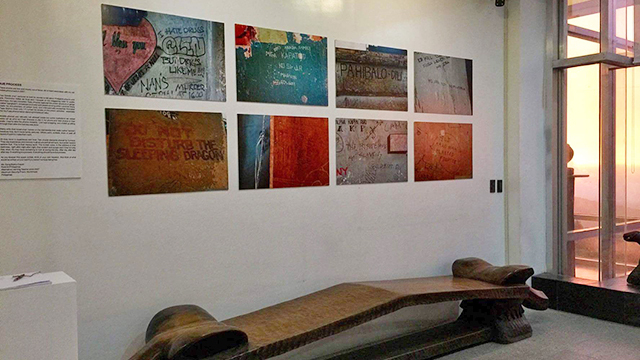 The gallery has since expanded into other mediums to better express the contemporary landscape of Philippine art. It is a regular participant at the Hong Kong Art Fair, Singapore Art Fair, and Scope Art Fair in New York. 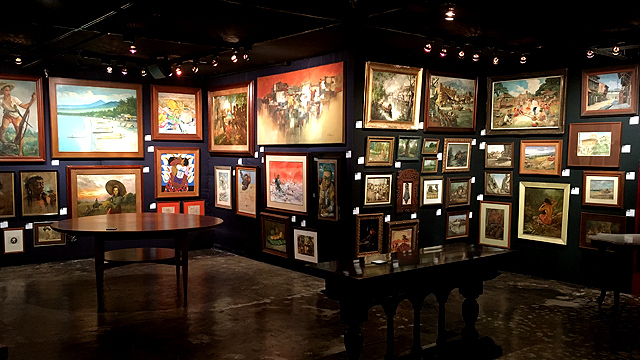 Final Art File moved out of its stalls at SM Megamall and LaO Center in Makati City in 2008 and found a new 450-square meter home at La Fuerza Compound. The area is divided into three galleries—Tall Gallery for murals and huge installations; Upstairs Gallery; and the Video Room. 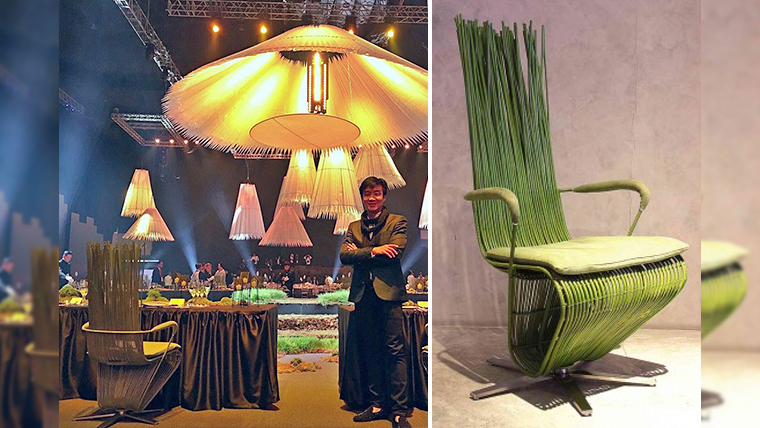 Among the artists it has featured are Julie Lluch, Ang Kiukok, Wire Tuazon, and Roberto Chabet. If the hole-in-the-wall concept of restaurants were applied to art galleries, Prism Gallery would definitely make it on the list. Its small space is hidden in a residential area, but it's not too obscure for you to miss its interesting exhibits—from Ang Ilustrador ng Kabataan's InK on Paper to Julian Gabriel Santos's Warrior. It also holds the Prism Studio Series, which are workshops on doodle art, calligraphy, and mandala art held at Calderon, a Spanish restaurant in Kapitolyo. 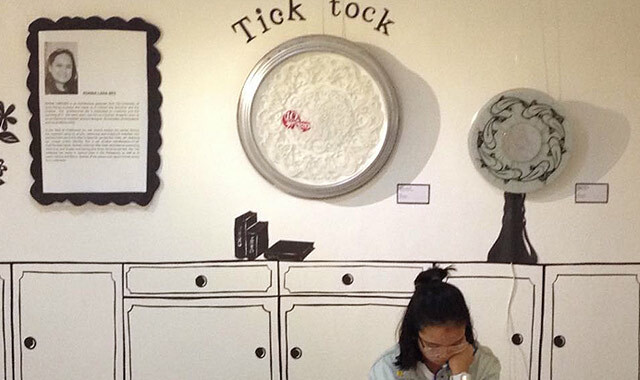 Tin-aw Art Gallery tries its best to "bring attention to art that surprises, engages, and provokes" and it does so exceptionally. Francis Commeyne's exploration of consumerism and American colonial mentality through Business as Usual and Lee Paje's perspective of gender theory through Unexpergated are just some of its exhibitions with a purpose. Altro Mondo has always supported the bold and daring aesthetics of Filipino emerging artists since it opened its doors in 2010. It has hosted Dex Fernandez's bright and colorful Garaparty, Roy Veneracion's bare yet striking Finding without Seeking, and Phyllis Zaballero's captivating The Edge of Recall. In 2014, it ventured into expanding its exhibition space by partnering with The Picasso Boutique Serviced Residences where art events and seminars are also often held. Launched in 2015 by Manny de Castro, Underground is located at the ground level of a landmark Makati building. 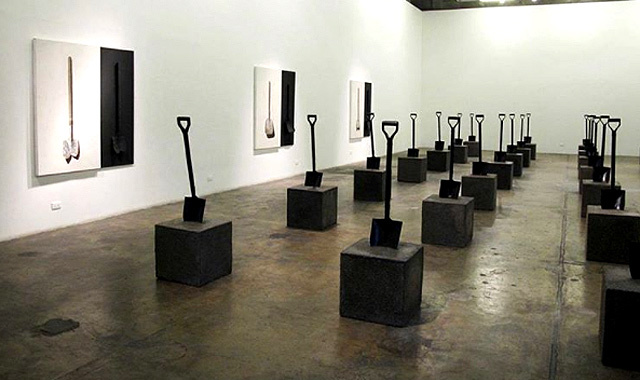 Some of its memorable exhibitions include Babel, which is curated by Nice Buenaventura; Bangkal Paintings by Nilo Ilarde; and the first solo shows of James Esguerra and Potti Lesaguis. 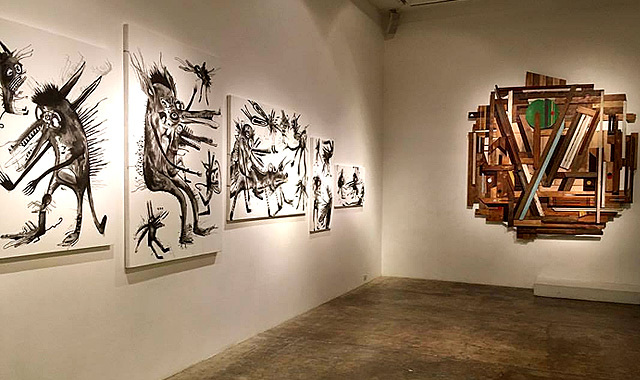 One of its controversial shows was that of artist Felix Bacolor seemingly crucifying himself on the gallery's walls using only duct tape. 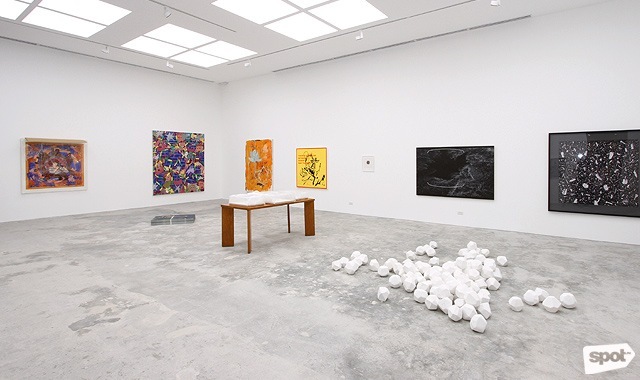 NOVA Gallery Manila fills its white walls with works by contemporary artists from here and abroad, such as Takashi Murakami, Anne Morgan Spalter, Willy Rojas, Felix Bacolor, Guenivere Decena, and Ramon Diaz. 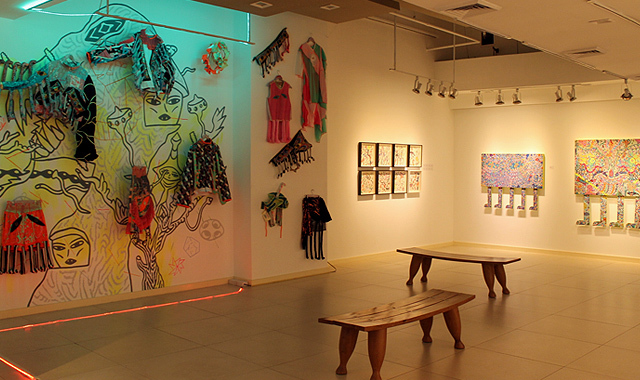 As a contemporary art space, it also features video installations, mixed media, and even found objects as art. NOVA also works with the Carlos Oppen Cojuangco Foundation Incorporated to support art and cultural projects in the country. 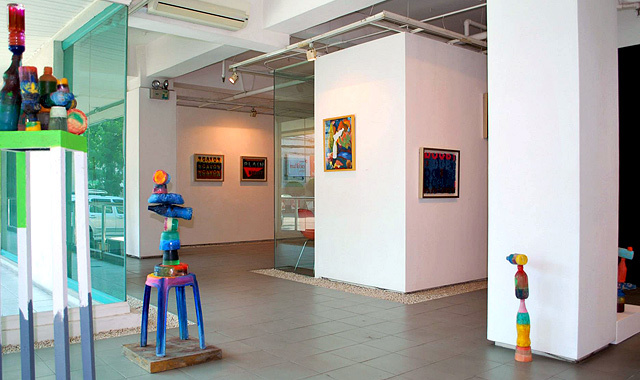 Since Leon Gallery opened in 2010, it has stayed true to its mission of showcasing works of the old masters such as Juan Luna, Felix Resurreccion Hidalgo, Fabian de la Rosa, and Fernando Amorsolo, and modernist works of notable artists such as Fernando Zobel, Romeo Tabuena, Diosdado Lorenzo, and Federico Aguilar Alcuaz, among others. 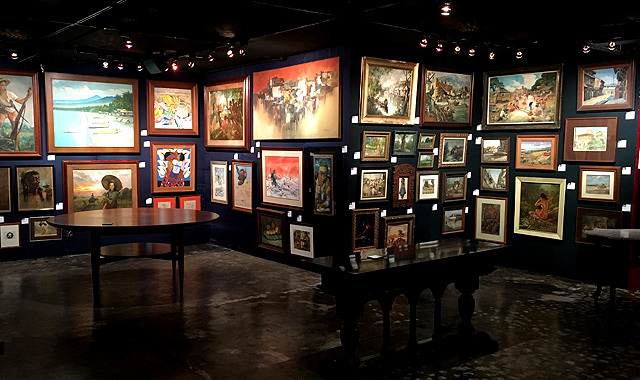 It houses Philippine antiques; such has pre-Hispanic pottery and jewelry, furniture and statues from the 18th Century, and special heirloom pieces. Aside from highlighting art history, the gallery also holds auctions through its digital platform Leon Exhange Online. 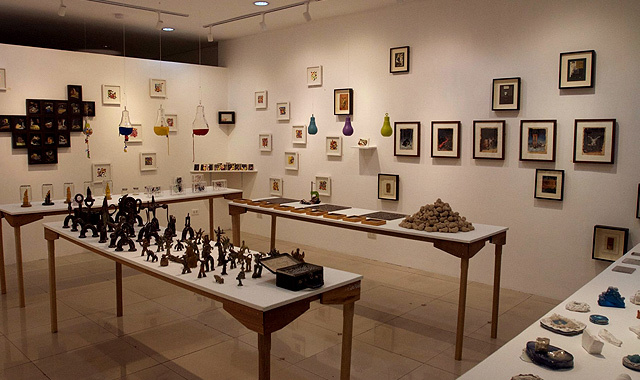 Bellevue, a French term which roughly translates to "beautiful view," is a fitting name for Makati's newest gallery. Launched in July 2016, it also served as a homecoming present of well-known realist and impressionist Ricky Montilla after five years of showcasing his creations to the American audience. All his paintings were shipped from Bellevue, Washington to signal his comeback to the Philippine art scene. Bellueve Fine Art Gallery is open to collaborating with other artists in the future. Silverlens moved to its third home in January 2017 in what used to be the commissary of Pancake House along Chino Roces Extension in Makati City. The new space features a two-level building with offices, a spacious main gallery, a number of exhibition spaces, viewing rooms, a storage area, and even a pantry. The lighting fixture, controlled through a mobile phone app, illuminates the 150-square meter main gallery. It can be adjusted from warm afternoon light, to striking daylight, and to cool light, depending on the mood needed for the exhibition.